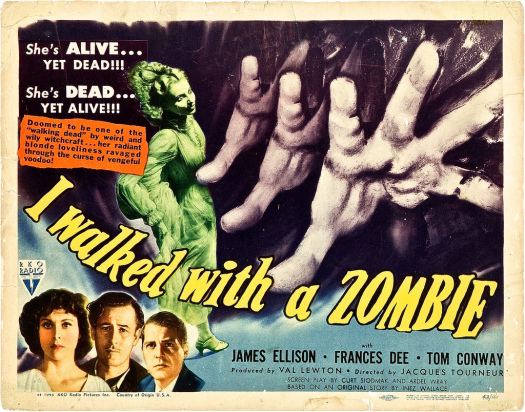 Val Lewton’s I WALKED WITH A ZOMBIE is, despite the exploitative title, one of the most moody and atmospheric horror films of the 40’s. This was Lewton’s follow up to the highly successful CAT PEOPLE (1942), with Jacques Tourneur again in the director’s chair. Though screenwriters Curt Siodmak and Ardel Wray based their script on a story by Inez Wallace, producer Lewton had them add elements of Charlotte Bronte’s JANE EYRE, making this a Gothic zombie movie! 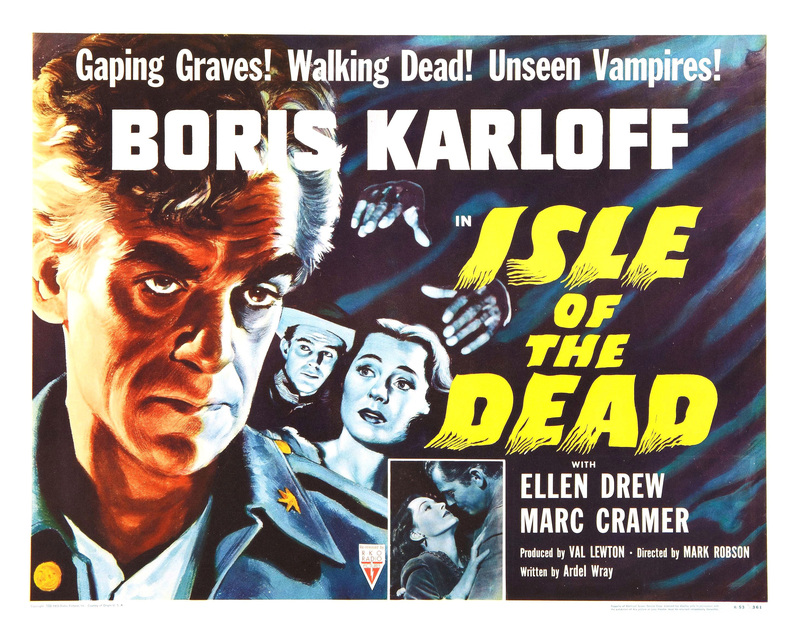 Typically atmospheric Val Lewton production stars Boris Karloff as a Greek general trapped on a plague-ridden island along with a young girl (Ellen Drew) who may or may not be a vorvolaka (vampire-like spirit). 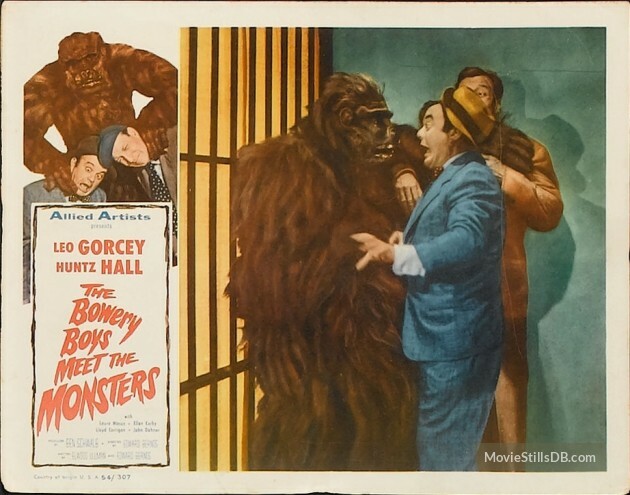 This film features one of Lewton’s patented tropes, as Drew wanders through the woods alone, with the howling wind and ominous sounds of the creatures of the night. 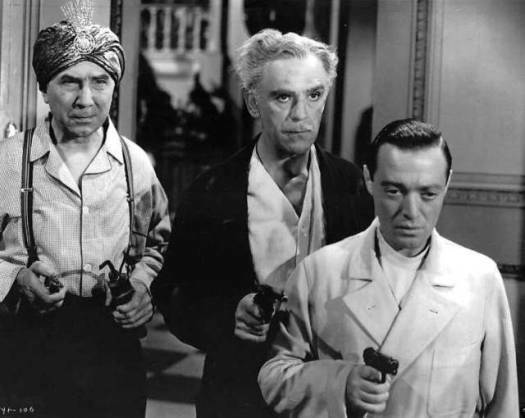 Very creepy, with another excellent Karloff performance and strong support from Lewton regulars Alan Napier, Jason Robards Sr, and Skelton Knaggs. Fun Fact: Like BEDLAM , this was inspired by a painting, Arnold Bocklin’s “Isle of the Dead”. The 1943 film The Leopard Man is set in a small town in New Mexico. It’s a place that seems to be hidden away from much of the modern world and where the cultures of Mexico and America mix, occasionally with unease. Jerry Manning (Dennis O’Keefe) is an American publicity agent who is dating a nightclub performer named, Kiki (Jean Brooks). Kiki has a rivalry with another performer, the far more flamboyant (read: interesting) Clo-Clo (Margo). Jerry, however, feels that he’s come up with the perfect way for Kiki to upstage Clo-Clo. Jerry has rented a leopard! Unfortunately, it soon becomes obvious that neither Jerry nor Kiki knows how to handle a leopard. Clo-Clo startles the leopard with her castanets, causing the leopard to escape and flee into the desert. Now, Jerry has two problems. 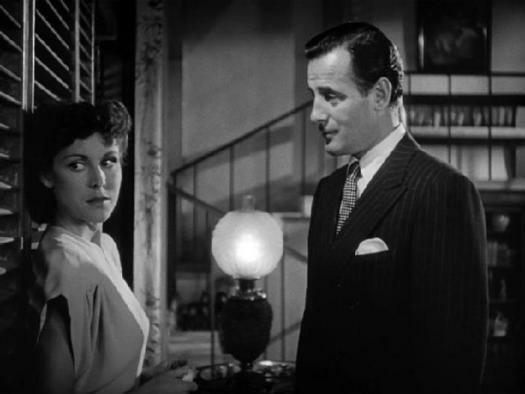 Not only is Kiki mad at him but the leopard’s owner, Charlie (Abner Biberman), expects Jerry to pay for the missing animal. All of the locals believe that the girl was killed by the leopard. Soon, more people in town are also killed. The police are sure that it’s the leopard but Jerry soon comes to think that something else might be happening. Could it be that something or someone else is committing the murders and attempting to frame the leopard? A moody and rather fatalistic film that looks truly impressive for a B-movie that was shot on the studio backlots, The Leopard Man is really more of a mystery than a traditional horror film. That said, the film is full of atmospheric and creepy scenes, particularly a lengthy sequence in which the townspeople commemorate the anniversary of a centuries-old massacre. The specter of death, both past and future, hangs over both the town and the film. That’s not surprising when you consider the The Leopard Man was produced by Val Lewton and directed by Jacques Tourneur, the same time that previously created the original Cat People. Much like Cat People, The Leopard Man is a film that’s power comes as much from what we don’t see as what we do see. The Leopard Man is a triumph of atmosphere and tension. 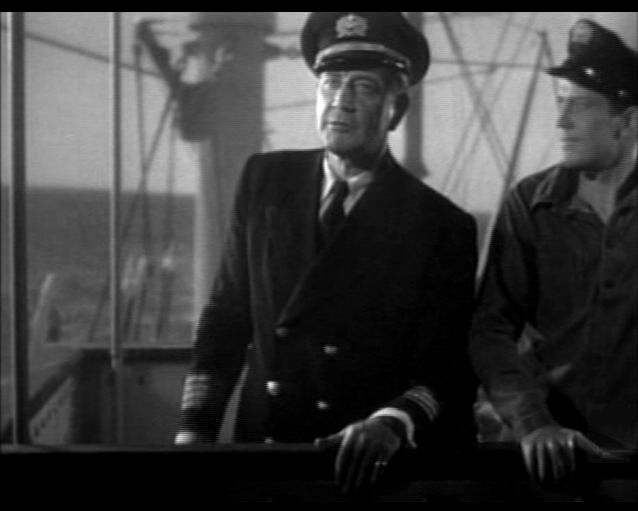 While neither Jerry non Kiki are very interesting characters, the film is full of memorable character roles. The citizens of that small town in New Mexico are all vividly drawn and portrayed, with the film perfectly capturing the quiet desperation of being both poor and forgotten in American society. My favorite character was Clo-Clo. As played by Margo, she is fierce, determined, and — in a few small moments — rather tragic. If they ever remake The Leopard Man, I’m claiming that role right now. Val Lewton produced some of the most memorable horror films of the 1940’s, moody, atmospheric set pieces noted for their intelligent scripts, chiaroscuro lighting, and eerie use of sound. CAT PEOPLE, THE BODY SNATCHER, and THE SEVENTH VICTIM are just three that spring to mind when I think of Lewton movies. 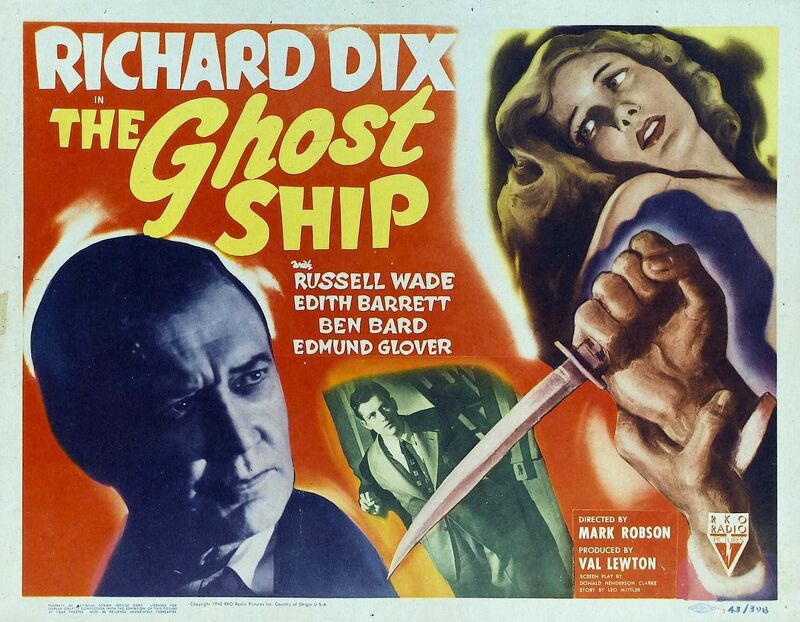 GHOST SHIP is one of his lesser known films, a psychological thriller about a sea captain obsessed with authority who goes off the deep end, and while it’s not supernatural as the title implies, it’s a good film worth rediscovering. 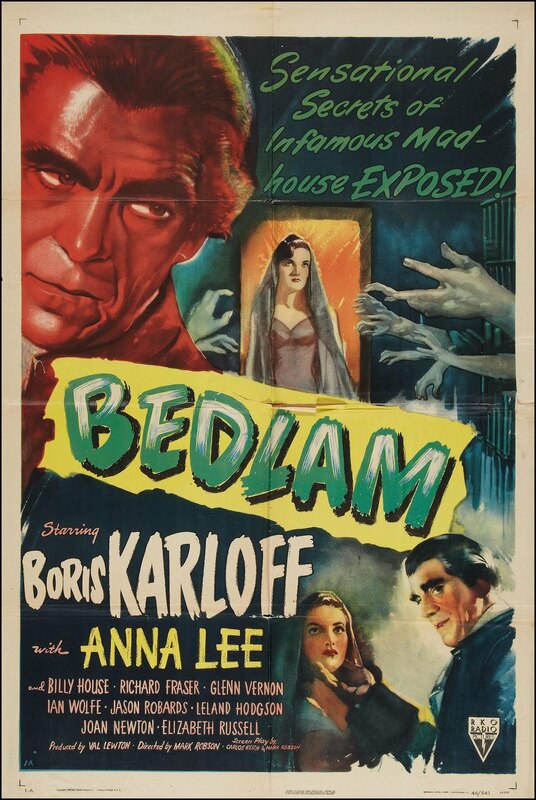 Boris Karloff made a trio of films for producer Val Lewton in the mid-40’s: THE BODY SNATCHER , ISLE OF THE DEAD, and BEDLAM. 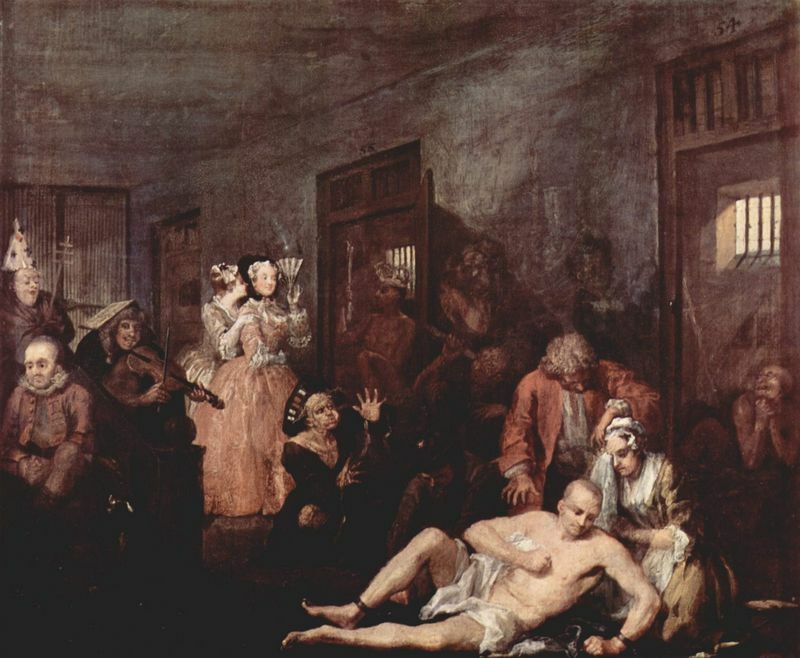 The Old Master of Terror was given the opportunity to show off his acting prowess in these dark, psychological horrors. Freed from the restraint of playing yet another mad scientist or creature, Karloff excels in the roles of murderous Cabman Grey, plague-ridden General Pherides, and here as the cruel martinet of Bedlam, Master George Sims. So, you can add the 1944 film The Curse of the Cat People to the list of films that made me cry. And I know that you’re probably going to point out that it’s already a very long list and I know that some people believe that I cry at every movie that I see. (Listen, if I cried every time that I watched a movie, that would mean that not a single hour would pass without me shedding tears and … well, anyway, lets move on…) But seriously, The Curse of the Cat People is a wonderful and heartfelt film. Technically, it’s a sequel to the original Cat People. Oliver (Kent Smith) and Alice (Jane Randolph) are married now and they have a six year-old daughter named Amy (Ann Carter). Irena (Simone Simon) does return but we’re never quite sure whether she’s a ghost or if she’s meant to be a figment of Amy’s imagination. There is no mention of Irena being cursed, though a hissing cat does make an appearance at the beginning of the film. In the original Cat People, Elizabeth Russell played a mysterious woman who asked if Irena was her sister. In The Curse of the Cat People, Russell appears in a different role but, interestingly enough, she’s still linked to the memory of Irena. Instead, The Curse of the Cat People is about Amy. Amy is a shy girl who spends most of her time daydreaming and Ann Carter (who was 8 years old at the time) gives a very real and very authentic performance, one that is totally the opposite of the type of performance that we often expect from child actors. I was a shy child myself (I was famous for always hiding behind my mom whenever I saw a stranger approaching) and, from the minute Amy appeared, I knew exactly how she felt and what was going through her mind. While Alice feels that Amy’s daydreaming is harmless, Oliver worries about her daughter. At one point, he says that he fears that she’ll never leave her fantasy world and that she’ll grow up to be like Irena. (Interestingly enough, this line suggests that Oliver still doesn’t believe that Irena was actually a cat person.) Amy, meanwhile, has a vision of Irena standing in the backyard and soon, the two of them are best friends. At the same time, Amy has also become friends with Julia Farren (Julia Dean), an elderly woman who lives in the neighborhood. Just like Amy, Julia lives in a fantasy world. She treats Amy like her own daughter. Meanwhile, Julia refuses to acknowledge her true daughter, Barbara (Elizabeth Russell), accusing Barbara of being a spy and saying she is only pretending to be her daughter. Barbara grows more and more resentful of Amy and that resentment leads her to consider doing a truly terrible thing. I guess it’s debatable whether or not The Curse of the Cat People can truly be called a horror film. While it does have elements of the horror genre, The Curse of the Cat People is ultimately both a coming-of-age story and a plea for adults to allow their children to be children. It’s all so heartfelt and so wonderfully performed by Ann Carter, Kent Smith, Jane Randolph, Elizabeth Russell, and Simone Simon that I couldn’t help but cry at the end of the film. The Curse of the Cat People is a great film to watch in October or any other month.